Today’s offer of over ear headphones is extremely huge. There are varieties of headphones for each person with different taste. You can buy them in various shapes, materials, sound quality and in different colors. Some of them have especially interesting accessories that can be both useful and beautiful to have on oneself. However, it’s not easy to make the right choice. Depending on your need there are many manufacturers and the price differs from cheep to rather expensive. We will help you to choose the best of the best and we will be guided by price that will be below $ 200. It is important to pay attention to a few things here so we will point them our for you. First of all, the quality of production, which materials are used, how resistant these materials are for daily use, which of them are better and how better engineering works for you by improving the quality of sound. Furthermore what the quality of sound is and what it depends on, how they keep sound within and can they block noise that comes from outside. Do they come with some special accessories or not. 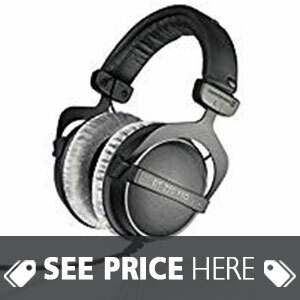 We will present all this to you by comparing eight of the best over ear headphones under $200. This product is made from durable materials. It has plenty of settings, high quality sound and detachable cables. These over ear headphones come in the category of semi professional headphones. Very positive reviews, not only from those who have bought them, but also from top level audio engineers who have only words of praise. They produce sound of very high quality and precision. They are suitable for serious work in a music studio, but also for those who just want to enjoy the ultimate sound. They are ergonomically designed to completely close the ear shell and in this way isolate the sound almost completely. They are made of long lasting materials, but this hasn’t affected the comfort. In other words they are beautiful and very durable. They can be bought in white and black color. These headphones are really good. They are made like a tank, to last and to serve. The materials are durable, the sound is well balanced, the bass is precise, it’s not like some other handsets where your ears grind after you take off your headphones. Not very heavy, you can listen to music for quite a long time without getting tired of wearing them. The ear-pads are pretty good, after a long time listening to music, your ear is a bit warm, but that’s normal if you take into account that these over ear headphones are quite good in preventing noise from outside. Certainly one of the best in this price range. Some complained that they had a slightly higher clamp force. The sound-related notes mostly come from those who used another type of headset that seemed to sound a bit stronger. Nevertheless after some time of using these headphones, they managed to distinguish between high-quality sound and volume. If you have not used higher quality headphones, it takes some time to get used to the difference and really start to enjoy the quality of sound, which is actually the essence. Definitely one of the best over ear headphones. It is a combination of extremely good choice of materials, they are very durable, with well balanced sound. The design is rather attractive, they look a bit retro but all in all, one big recommendation. High quality sound for professional use. Another interesting over-ear headphones that you should pay attention to. This model is intended for work in a music studio and for listening to music at home. They are not suitable for jogging although they are light weight, because of the coiled cable that comes next to them. They are of high quality, but it a bit heavier, so it can be inconvinient while running if you are not used to it. Earcups are well designed to significantly reduce ambient noise. Also earcups swivel, you can rotate them when necessary. 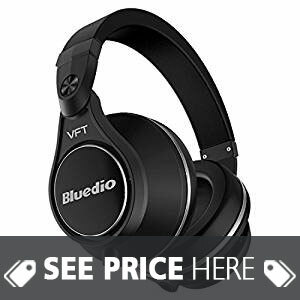 If you are somewhere where it is quite loud and you want to listen to your own music,to isolate your sound from the environment, with these over ear headphones you will not have a problem with it. Also, some sound goes out so that if someone is near you and in total silence, the music that comes from the headset can be heard. They are compatible with most portable devices. The people who used them say they are very durable even though they are lightweight. If you carry them outside, while you walk, go to school or work, keep in mind they are a bit bulky. The sound quality is excellent. The only remarks are those who did not use this type of headset and who are not accustomed to over ear headphones. They say they are not very comfortable at the beginning until you get used to wearing them. Later, generally, everyone changes their mind for the better. In one sentence, we could say: well spent money. They really justify their high position among the few best over ear headphones. They have everything you need to fully enjoy the quality sound, everything else is a matter of personal habits and lifestyle. 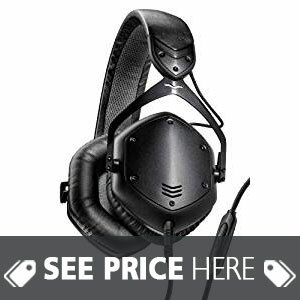 These are professional headphones that deliver superior sound quality. They are used by professionals who work in a music studio and are very reliable when it comes to sound and bass quality. This model is comfortable to carry, has excellent frequency response. Special closed ear design that allows the noise that comes from outside to be minimized. They are made of high quality materials and very precise engineering. This is a company that has a reputation as a well-known German manufacturer of audio equipment. Therefore they justify their name with high quality products.They have been producing audio systems and headphones very successfully since 1924. Those who have used them for a longer period of time are very satisfied. They fall into the category of more expensive, but fully justify this investment with the quality of production and sound quality. They are generally used in recording studios, broadcasting situations or post production. The sound is balanced and natural. Earpads are very soft and can be adjusted, they have sliding earpieces to provide comfort while listening to music, or while working and wearing them over a longer period of time. Those who complained were mostly not professionals, they didn’t use the amplifier so they were unhappy with the sound on some of the devices they used. In our opinion, these are great over ear headphones that are not for everyday use of regular users, but for serious day-to-day work. They are 250 ohms so you need to have a amplifier. Depending on your needs this could be a great choice for you. Great recommendation for this model, for people who are professionally engaged in music. These over ear headphones are very practical for several reasons. First, they are wireless, second, the sound is fantastic, you will not feel the difference between these wireless and classic over ear headphones that comes with the cable regarding to sound quality. You can buy them in two colors: black and white. Manufacturer specifically points out as a great advantage of these handsets, compared to the competition, immersive and deep sound, as well as a Bluetooth feature. It allows switch between two devices without loosing a beat of your favorite music. Earcups are very well made, on the right earcup you have multi-function controls, so pairing with other devices, changing the sound as well as boosting the sound is greatly facilitated because you do not have to adjust everything from your device.You can adjust it all over the headset. These over ear headphones are engineered for consistent and exceptional sound and it works great in any environment with clear calls, very good performance and very durable materials. What people especially like is that you can listen to music from the two devices alternately. This is especially useful when listening to music from one device and at the same time expecting an important call. Everyone is delighted how long these over ear headphones hold the battery. Indeed, 15 hours of continuous listening to music is enough even for those most demanding users. No you can finally set free of all the fears connected to your battery life. The sound is pretty good, it comes in full range. They are quite comfortable to carry, they are not heavy, they do not put pressure on the ears. They are coated with fine fabrics, it’s not real skin, but imitation of the skin, but it looks very nice and very soft. People who have complained about this model find that they lack some volume, but the sound is very clean. They are especially good when listening to vocals and instrumental music. Lows are good, the mid-ranges are very good, the highs are very well handled. You get high quality sound, the outer sounds are well isolated, super light convenient to carry and nicely designed. We can not say they are top-notch in all elements, but if you consider everything we’ve listed and tested, you will not make a mistake choosing these over ear headphones. They offer so much that they will quickly stick to your heart. Great recommendation. What comes to your mind first when you look at these over ear headphones is a very attractive design. This is a famous brand used by music and DJ professionals. It’s a very luxurious design, ergonomics is phenomenal. It can only be bought in black, but this ultimate black color is really great. They are very durable, they are made to last. Many would say that they were made with military precision so that it is clear to you what kind of product it is. The fact that they are used by professionals speaks a lot about the quality of sound that is really top-notch. This model of over ear headphones is not for everyone. The headphones are great, almost nothing is heard outside, so there is no sound loss, no sound leak. With this model, they have taken care of everything, the box is very beautiful, with lots of details. In addition to these, a top-of-the-range carrying case is made of ultra-high quality materials. You get extra face plates, which is cool. Very impressive look rather catchy. There is plenty of metal in the construction there fore they are quite strong and durable. Have click adjustment. Very nice padding and also comfortable. You can bend headbands easily. Even though they have more clamping pressure, they are still comfortable but firmer. So this is why these are not for everyone, because if you listen to music a lot, then this clamp force can be a problem. Few hours are OK, but 6 or 8 hours can be a problem. Sound leaks very little on 100% sound volume, great listening level. They are great for all types of music, but specially rock, pop, hip hop, RNB. Natural sound. With its distinctive look they are attractive to many eyes. Very durable, the bass is great, in high levels the sound is of really high quality but it keeps your ears because they have a sound control system that does not allow the sound to become unpleasant when it comes to mids and highs. Those who complained say, after a few hours of listening to music, your ears are very hot because the clamping force is solid. So it’s not for those who listen to music all day long but for those who want a superb experience every day for a limited number of hours. They can easily warm your ears because clamping force and isolation of the outside sound are excellent. So if you are in an extremely warm room or environment, your ears will get warm quickly. Of course the problem can be solved. These over-ear headphones are truly top-notch. They are made to the highest standards when talking about durability and they produce great sound too. Although not very heavy, they have a stronger clamping force so they are not for those who listen to music all day long. Everything else is really at the level of art. A huge recommendation if you belong to this category of users. Different design, little bit retro, famous USA manufacturer. This is one of the most famous USA manufacturers that has been existing since 1953. These over ear headphones have a traditional look, some people would say retro but it depends on who you are asking. This manufacturer is characterized by making high-quality headphones but not changing many designs with age. They stick to one pattern of design that is universally suitable for majority of users, although not perfect for everyone. We could also say that it’s a matter of taste too. It has a very good system for adjusting the size and locking in place. They look classical, but everything is so well made. The cable is soft, flexible and at the same time very resistant. Headband padding is a little bit rough, which some people like and others don’t, but it has advantages especially when it comes to heat build up. They are best for home use but it doesn`t mean taht they can`t be used in other occasions. They have great sound quality, but due to the specific design and materials there is a certain leak of sound, which doesn’t bother you much, but it can bother someone who stands next to you. They are especially good for rock music, classical, country, jazz, acoustic. This manufacturer is known to make headphones that are particularly good when talking about mids. Everything sounds smooth and very detailed. They are known for their harmonic colors, rich vocals, excellent dynamics and smooth top end. These are one great over ear headphones. It all depends on which sound signature you like. Some people feel that they are not too comfortable, but everyone agrees that the sound is excellent. They have a larger sound range. You need to use them for a certain amount of time, to get used to them. The feeling is very good when you get used to it, but at the beginning, they may be different from others, but that’s why they’re charming in a good way. Good at articulating low frequencies, at the same time mids and highs are crisp and resonant. 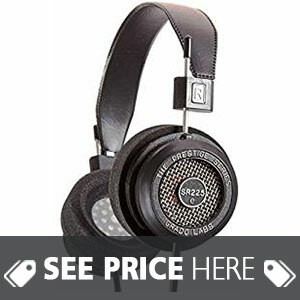 The overall assessment would be that these over ear headphones were made for people with special affinities when it comes to design and sound quality. All in all, these are very good over ear headphones. They are durable, the choice of materials is slightly different than in most manufacturers. Especially when talking about earpads, but it also has its advantages because the ears are less heated, or easier to get out of that heat. The feeling is at first unusual, but it’s all a matter of habit, especially if you used third-party models. You should certainly take this model into consideration. For those who always need a music no matter where you are. These over ear headphones are designed for people who are engaged in sports or who are generally very active. They include one additional earpads. Very nice carrying case. You can control music through the cable. You can easily buy them in: army green, storm black, bolt green, electric blue color. They have a nice matte finish almost rubberized. They are not very big. These are very good over-ear headphones for all those who are very active, who are quite mobile, who train and need music constantly. They are well-made, attractive design, you can choose between several colors, they are easy to adjust. Materials are provided for those who are sufficiently sweat so they are quite resistant. They are very comfortable, easy to eliminate all the external sounds so you really stand out when you put them on your ears. The sound is great, very strong bass, some don’t like it depending on the type of music you listen to. The reason is that with such a strong bass certain things sound a bit muffled. Of course, you can fix this by using the equalizer on your device (phone, tablet) Although made of good materials still they are not waterproof. They are very practical over ear headphones. They are just for people who are moving a lot and who sweat. Pretty durable materials and at the same time light. If you install an audio tuning application on your device from which you play music, then you can make adjustments to bring your sound to perfection, if not, then depending on the type of music you listen to, it may be a bit too strong bass. Others would say just give it up. Certainly a recommendation. Top quality in every aspect. This is an extremely good and high quality over ear headphone. It uses wireless Bluetooth 4.1 technology. Its ergonomics are very good and functional. It is made of durable materials with a metal frame. It comes with, believe it or not, even 12 sophisticated speakers, two for bass, two for mids and even 8 for highs. This really guarantees superb enjoyment of excellent music with studio quality, in full surround spectrum range. They can be adjusted very easily, they also have a 10-level adjustment scale, which is rarely seen. They rotate 180 degrees. They have everything, it’s really hard to find a flaw. It feels comfortable. Bluetooth pairing works great and easy. No delays or drops. It has a lot of bass. Some people say it’s too powerful bass but it can be adjusted with application from your device, of course not all the devices have this option. Build quality is really high. 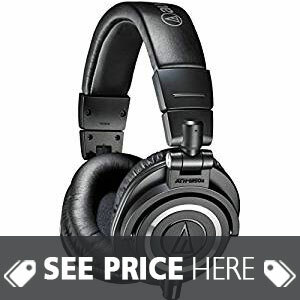 So, these headphones provide a lot of things, but to get superb sound for every type of music you listen to, it’s necessary to set up with a program that allows for such fine settings. If we take into account what we have analyzed, we were really delighted. 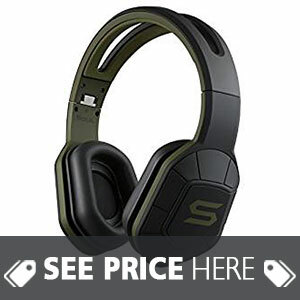 For this price range these are one of a top wireless Bluetooth headsets. We have no doubt about it. They’re not the best we’ve ever seen but 12 speakers, it’s phenomenal and quite rare to find. We really love this model, maybe it’s a bit bigger, so it’s not suitable for those who want over-ear headphones to wear on the market or exercise hard but definitely for enjoyment and for those who’s job is music. How to choose your best over ear headphone? As we have already said, in today’s market of over ear headphones you have a huge, wide range of literally everything. However, the right choice is very important to be satisfied with the product you are buying. To make this possible, you have to look for the details and also there is always a matter of your personal taste. If you don’t like something because of the way it looks, it doesn’t necessarily mean that this product isn’t technically, from the aspect of engineering, good, very good or excellent. 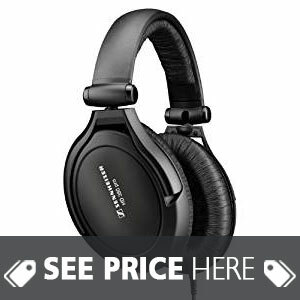 Advantages of using over ear headphones? The key advantage of using the ear headphones in relation to another type of headset is the sound quality. There is a difference between the volume and the sound quality. If something is heard very loud and clearly, this doesn’t mean that the sound is good or high quality. With sound you have bass, lows, mids and highs. These are the fine layers of sound where you hear the drum as well as the violin, you hear the voice, the vocals, and the electric guitar as well. That’s what these types of over ear headphones provide. Certainly it’s easier to carry classic earbuds headphones because they are lightweight, the sound goes straight into the ear, sound is very strong, but the sound quality can’t be compared with over ear headphones. Also, it’s not healthy for your eardrum that the sound is unpleasantly strong, the point is that the sound has stratification. The quality of the materials that are made over ear headphones is much better than other types of headphones, doesn’t cause skin reaction, they are more comfortable to wear, soft, don’t fall out. There are several questions that are often asked when talking about the best over ear headphones. 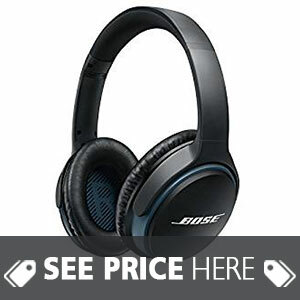 All over ear headphones have the option of noise cancelling, the difference is that in some models this feature functions flawlessly and some other models do not fully isolate the noise. Do they have strong bass? Some of the over-ear headphones have a very pronounced bass and some other models, and the manufacturers are milder. Depending on what music you mostly listen to depends what kind of over ear headphones you need. If the bass is too strong, too pronounced in some cases the sound becomes muffled. So it’s important to pay attention because the sound next to the bass has lows, mids and highs. Maybe you do not always need an extremely strong bass to enjoy music. Can I use them on every device? Most often this is standardized and can be used on all devices. For some models belonging to a professional class, you need to have an amplifier to use them in the best way, or to get the most out of them. Can I use them all the time? Again, there are models that are intended to be used in all conditions, and there are also those designed to work in a music studio or to listen to music at home. It also depends on the choice of materials from which they are made. Although these headphones are larger in size than others with earbuds, they offer much more. They put less pressure on the eardrum and thus reduce the possibility of damaging your hearing if you listen to music really loud. Also, you avoid the possibility of causing an allergic reaction to the sensitive part of the skin in your ear due to the use of poor quality plastic, which is often the case with other types of headphones. What is another advantage with over ear headphones is the fact, the manufacturers have thought about a lot of stuff and made over ear headphones for everyone. There are models for those who train hard, for people who like jogging, for those who walk in parks or countryside. There are people who often wear hats, for those who have long hair or short hair, in other words, they have something for everyone. You just need to choose the right model for you.